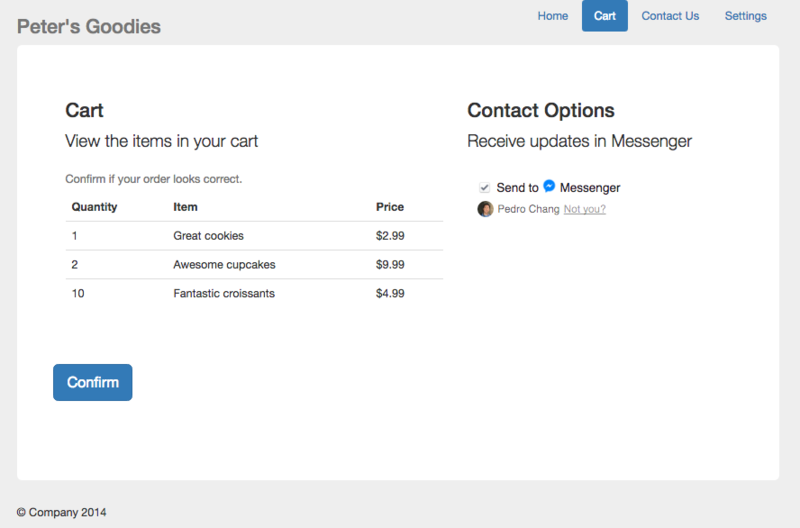 The Checkbox Plugin is similar to the Send to Messenger plugin, but optimized for forms where you want to provide a seamless way for people to receive updates via Messenger. It could be used for just about any form-based flow on a site, including ecommerce websites where you wish to send receipts and order updates to the user, for event RSVPs, or even signup forms. You can generate the necessary code to implement the plugin, in the Grow tab of the dashboard. Head to Acquire users from your website section and click the Checkbox Plugin button to open the code generator. In the code generator, you need to enter the domain you want to render the plugin on and select the size. You can also include an optional ref parameter to track the source of the acquisition. 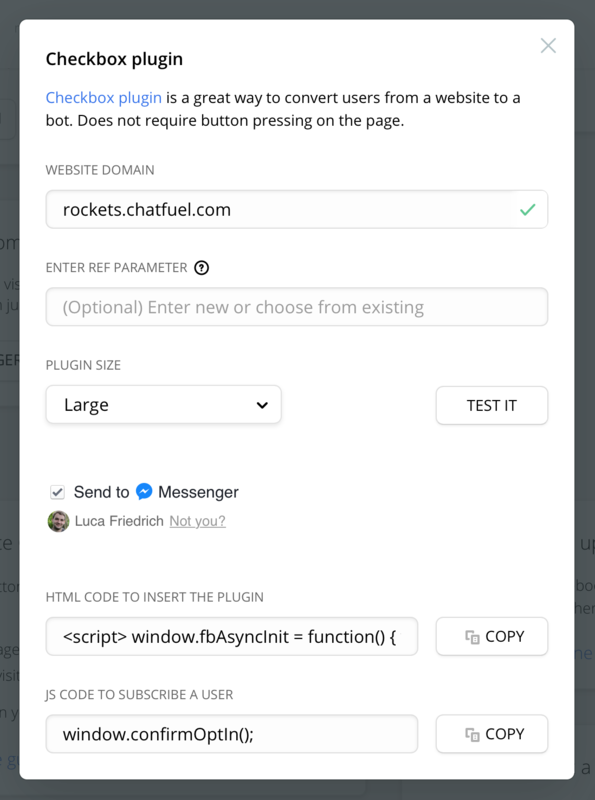 If the ref parameter already exists in your bot and is linked to a block, the user then will not receive the Welcome message block when they trigger the plugin but receive the block the ref parameter is linked to. You can always test the plugin by clicking on the preview in the code generator. If you like how it works and looks you can then just go ahead and click the Copy button to copy the generated code and embed it on your website. You will need to add the HTML code where you want the plugin to be rendered on your site, while the JS code needs to be added where you want the plugin to trigger. In the case shown in the screenshot, you would add the HTML code in the div which renders the "Contact Options" section of the website while making the JS code trigger when the user clicks the "Confirm" button. This would then only make the bot message the user if they confirm their order. If you're looking for a way to implement this plugin in your ClickFunnels page, check out this article.